A journey that combines luxury, style and fine detail, combined with our environmentally sensitive methods to create and deliver a wonderful luxury escape for you in Auckland. 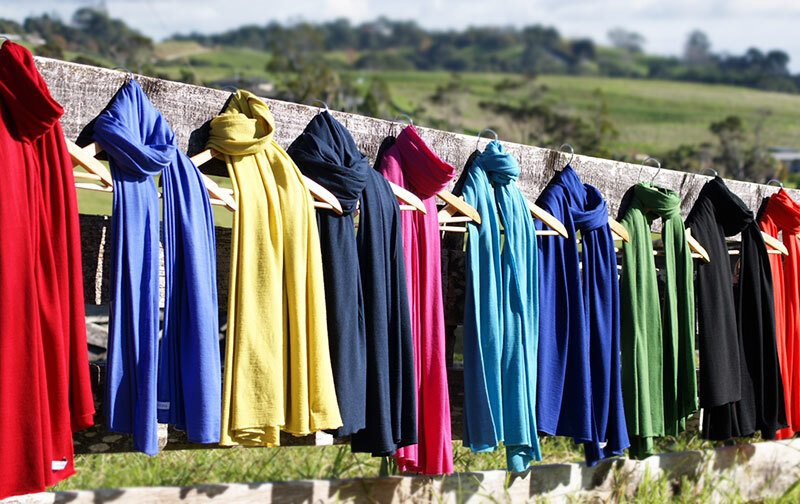 Our eco travels luxury Auckland eco tour comfortably combines luxury with our green environment allowing our guests to value the experience while leaving very little impact along the way. Are you arriving into Auckland Airport for a mini weekend escape from Australia, or flying in from world-wide places suffering from jet lag but looking forward to an amazing holiday in New Zealand? An Auckland eco travels luxury experience for a night or two is the perfect way to discover Auckland, whilst taking an environmentally responsible attitude to a world that needs our care. Auckland is a busy city, so with stunning clean beaches just thirty minutes in either direction, we tend to take our clients out of the city hotels and instead house them in coastal luxury so you can choose to explore the city life in your top of the range electric Tesla but escape to the coast and country tranquility when needed. Our eco travels experiences combine the best of Auckland cuisine with top Auckland private chefs, the highest standard of wines, peaceful and tasteful private properties unique to Love My New Zealand and eco touches that make the integrity of these experiences like no other. We do our bit to make space for our visitors and spread the love instead of concentrating so many visitors into Auckland city accommodation and whilst Auckland City is such a beautiful one, a city is a city, is a city. 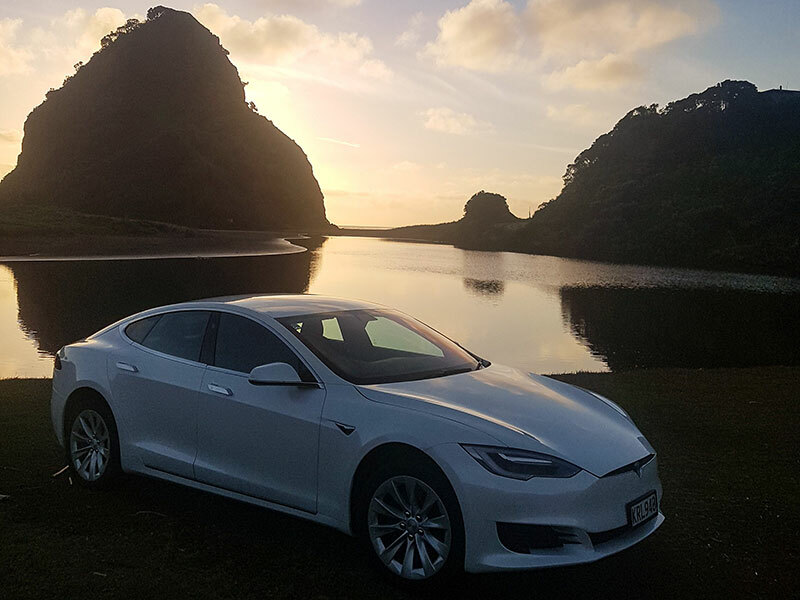 Begin your Auckland eco travels in one of the latest Tesla S or X model electric cars and enjoy the silent glide of a vehicle kinder to the planet by reducing emissions. Arrive at your Auckland beach accommodation and enjoy an afternoon of pampering and peace as the west coast Auckland beaches magic washes over you. Choose your chef beforehand when we design your eco tour experience. Your private chef will put together an evening dinner of organic, locally sourced ingredients to tantalize your taste buds in a private location designed around working with the environment in the best way possible. Your private chef - your moment with him, a memory to treasure. 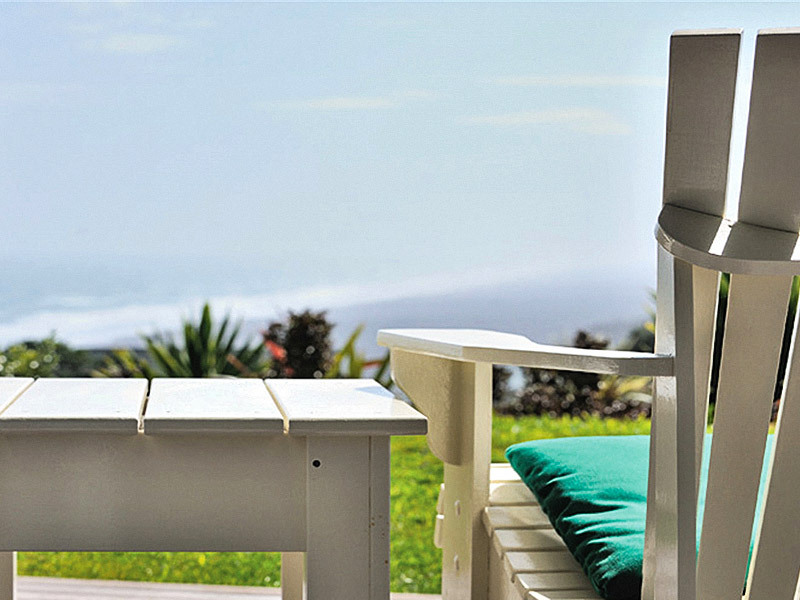 Sleep to the sound of the ocean before awakening to an orchestra of birdsong and rolling ocean waves at Muriwai Beach. Tuck into a luxury breakfast prepared by your chef as you consider what to do with your day - from horse riding on the beach, a surf lesson perhaps, or choose from a range of massage therapies to truly relax you even further. Leave your Tesla electric car with us at the airport before you depart relaxed and refreshed or indeed we can arrange for you to further discover New Zealand after a great opportunity to get over your jet lag! 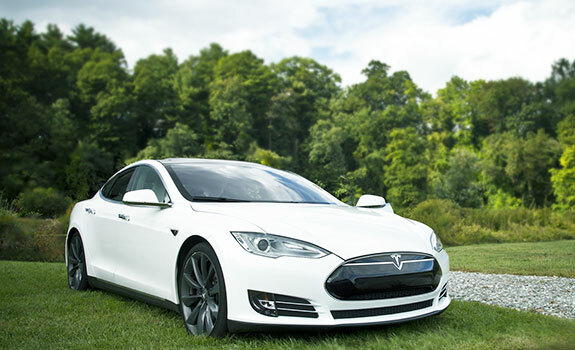 Your eco host will greet you at airport or hotel and introduce you to the latest in Tesla electric car technology to begin your eco trip, explaining fully what you need to know to maximise the enjoyment of your experience. 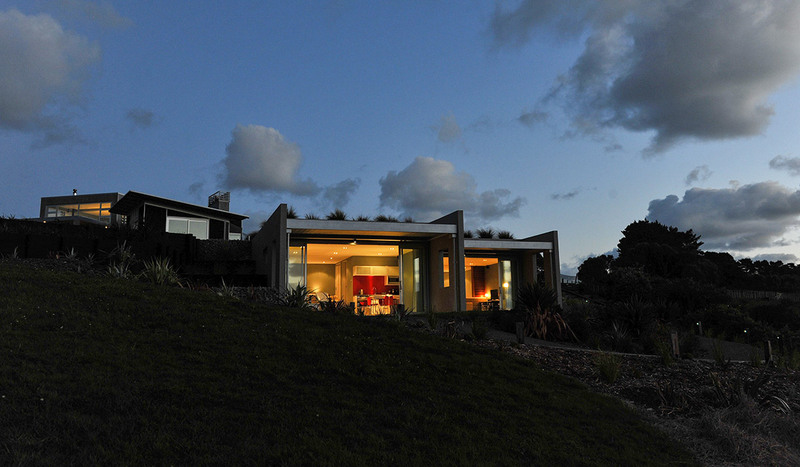 Choose to be driven or self drive to a private rural beach location just thirty five minutes from Auckland CBD. Stay overnight or two nights - with organic canapes, a New Zealand organic wine chilled to perfection and a view to die for on arrival. 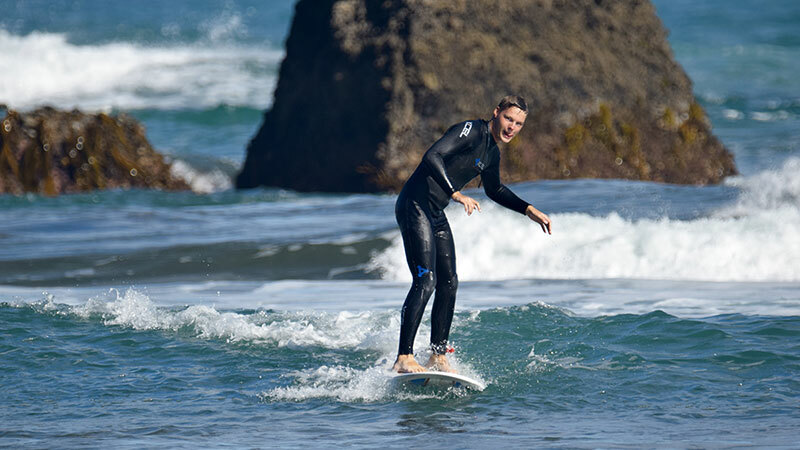 Be pampered with a massage using New Zealand botanical oils, or choose one of the many activities we can arrange for you from horse riding on the beach, surfing, an exclusive winery visit - or simply sit back and relax. As evening begins, your chosen chef arrives to begin preparing your evening degustation. Choose to discuss and take part in the building of your banquet or maybe just sit back and gaze at the peaceful view as your chef weaves his magic. With organic wines matched to your menu, enjoy delicious New Zealand cuisine that would delight any foodie worth their organic salt. As the evening draws to a close, allow your chef to show you the delicious breakfast awaiting you - his signature to your eco dining experience. Sleep to the sound of the ocean and awake to the smell of the Tasman Sea. Take a short drive after breakfast for a leisurely stroll along the 45 kilometre stretch of black sand beach. Enjoy a late leisurely check out or rather stay and linger for a second evening of eco bliss. 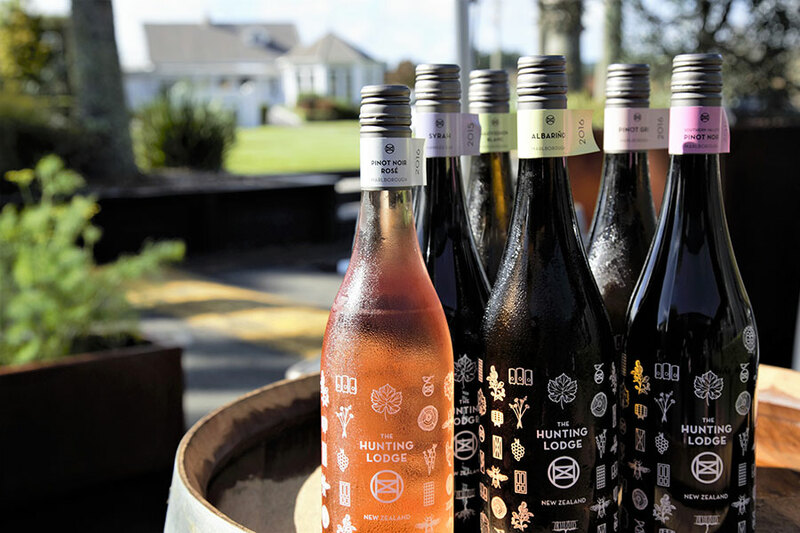 Auckland offers a diverse and rich tapestry of wine making history. What is unique about your experience here is that you get to create your own New Zealand wine story. Choose the perfect moment on your first day to take a relaxing journey to The Hunting Lodge in the same region as your luxury accommodation to sample the eight wines from the story of the land here. Don't worry, we can drive you in your Tesla so no need to be concerned about sitting back to sample the full range while you taste the fine Mediterranean styled platter of locally produced deliciousness. Have a chat over the telephone with your chosen chef, Michael or Paul, as you sit back and sample the delicious wines of The Hunting Lodge and discuss with him the wines you intend to bring back with you for your perfect matched evening meal and let him decide the final touches to those moments with the fish, meat and desert dishes you will dine on later. If it's vegetarian, he will relish the wine matching with you. Your own wine story can be tailored in with your schedule. Some of our guests call in en route to taste and decide and others choose to do this later in the day after an early morning flight, so time for a sleep first before taking your own wine journey in this region. 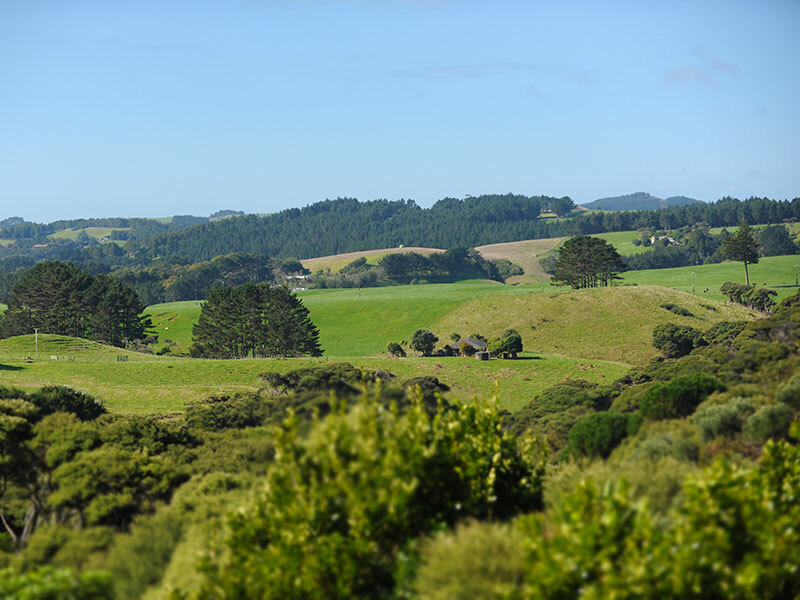 You can also include a number of vineyards after The Hunting Lodge as we have a great deal of knowledge as to where you should go to sample other wines made in this great wine region of Auckland. Just simply add in the Wine Story option in your enquiry. Paul Duncan has been a restaurant chef for over 14 years, and often wondered what it would be like to take the restaurant to people’s homes. No reason why you couldn’t create the same or better experience as a fine dining restaurant in privacy with an intimate setting for two, four or six guests... so that’s what he did. He has been the go to chef for Love My New Zealand for the past four years. 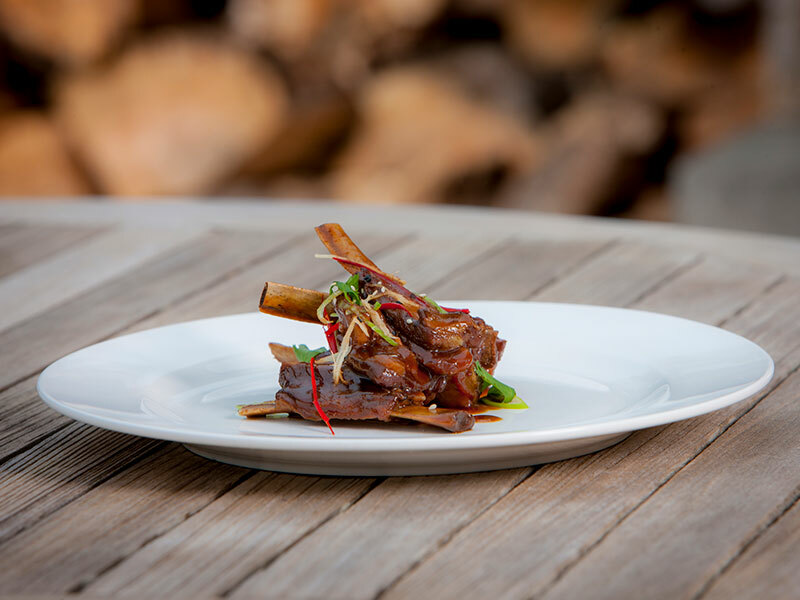 Paul's passion is Asian Fusion cuisine which he developed at Huka Lodge in Taupo in his early days. 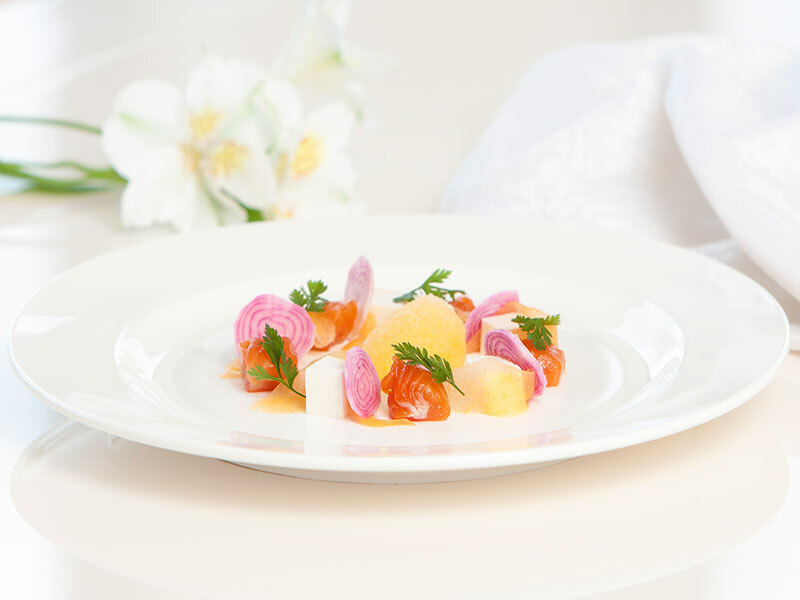 The balance of sweet, sour, salty & hot is achieved in an Asian dish combined with the elegance of French cuisine and the home-cooked feel of Italian food. Combining Asian flavours with European flavours is challenging, but the end result delivered in a seven course degustation is unique and exceptional. Paul just loves the idea of taking his famous seven course degustation menus to a whole new level for our eco travels experience, making sure that every little detail is as environmentally sensitive as possible. 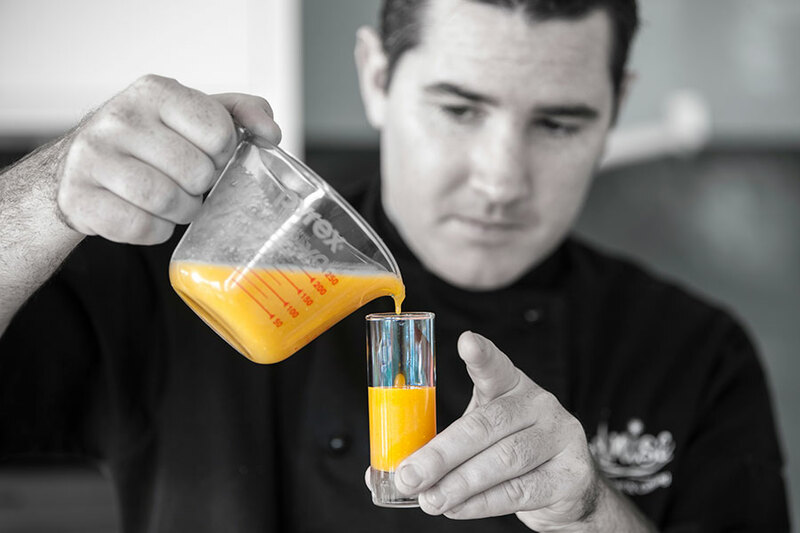 Michael Van de Elzen, multi award winning chef, is passionate about healthy food, particularly now his wife Belinda and their girls, Hazel and Ivy are living on a life-style block in Muriwai west Auckland. Look out for his 'Good From Scratch' logo which guarantees products that are healthy, along with his healthy, quick to prepare recipes. Mike started a career in the food industry at the tender age of 14, working in some of Auckland’s landmark restaurants like Kermadecs and Hammerheads. Then embarked on the big ‘OE’ to London in 1998. He worked his way up the ranks in the acclaimed Terence Conran’s Bluebird restaurant, encountering many experiences including heading up a 140 chef team for the official opening of the Tate Modern for some 5,000 guests, including the Queen. He also provided private catering to some of London’s A-List celebrities. Before leaving London Mike would lead the team at the highly thought of restaurant, Bank. After travelling through Europe, Africa and Asia he moved to Ireland to head up the kitchen of a small luxury hotel which earned the Conde Nast World Small Hotel of the Year during his time there. 2004 Saw Michael back in Auckland where he opened Molten with a European style menu combining the freshest of New Zealand ingredients. Following the success of Molten, he opened Liquid Molten wine bar serving small fresh plates of food and fantastic cocktails. 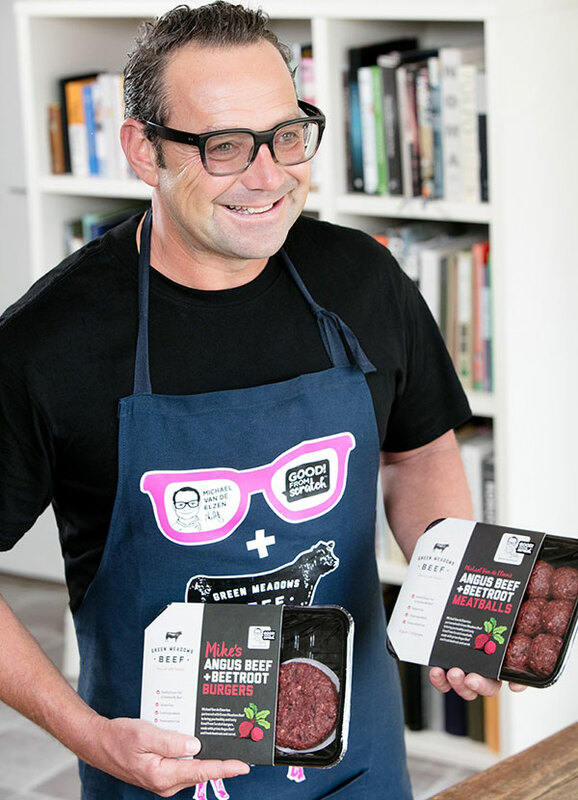 In 2016 after selling his restaurant businesses, he pursued new adventures starting a family and starring in TVNZ's top rating shows, The Food Truck, Family Recipes and Kiwi Living. 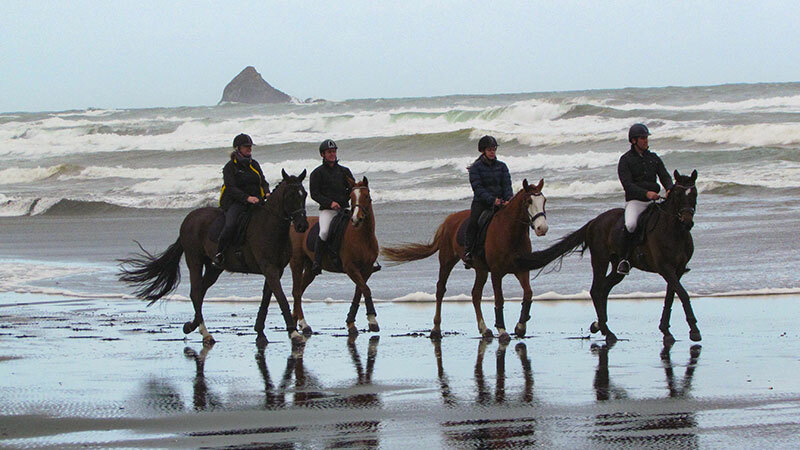 Horseriding - what better way to experience the black sand west coast of Auckland than being on horseback with the best professionals privately. No trudging behind horses in a long line, but rather an experience suited to you whether a novice or a pretty good rider. Take to the beach and the forest as part of your ecotourism experience.